Based in Murfreesboro, Tennessee, and serving clients throughout Middle Tennessee, the law office of Amy Broom Pollina, Attorney at Law, delivers practical, cost-effective legal services built on a foundation of outstanding client service. The firm offers representation in areas that include adoption, divorce and family law, juvenile law, estate planning, estate administration and probate. Attorney Amy Broom Pollina provides each of her clients with personal service, knowledgeable advice and attention to detail. She offers guidance regarding difficult legal matters, helping individuals and families navigate each stage of their legal processes and reach the most positive possible outcomes. If you are adopting a child, attorney Pollina can help you understand and work through the entire adoption process, which can be complicated and trying. She not only understands the laws that govern stepparent adoptions and domestic adoptions, she is well-versed in the paperwork, home studies, background checks and court appearances that accompany most adoptions. Most importantly, attorney Pollina enjoys helping families and children. In family law matters such as divorce, child custody, child support, paternity and post-decree modifications, attorney Amy Broom Polina provides compassionate representation geared toward solving problems as smoothly as possible. In the area of estate planning, which involves wills, powers of attorney, health care directives and other important tools, attorney Pollina works with clients to help them protect their families, safeguard their finances and make important decisions for the future. With regard to probate and estate administration, she helps families settle their loved ones' estates with minimal conflict and difficulty. 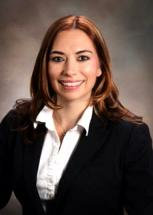 Contact the office of Amy Broom Pollina, Attorney at Law, for a free consultation regarding your legal matter. Credit cards are accepted, and payment plans are available. Mrs. Amy Pollina was a true blessing from the moment our family met hers. She was always upfront and honest with us and we gave her a case that had a lot of challenges that we were asking her to meet. She never complained and always took her time. She never rushed us out of her office and listened to every concern we had (trust me there were a lot). However, that never seemed to bother her. She would take my phone calls and help in anyway she could. Whenever we needed documents that I had forgotten or simply misplaced she sent them to me with in minutes. There was a time where I got one of the children through a emergency hearing and I was a bit intimidated to speak with the person I had taken her away from so Amy stepped in and handled that for us. She took so much stress off of us and just reassured us the entire time. She was completely professional... Amy is great and you would not go wrong placing your trust with her. Her office staff is awesome too. Finding the right lawyer can be difficult. If you are facing a legal challenge, it is important to have an attorney who will take the time to listen to you and understand your situation. Adoption can be a joyful event for a family, but the process of adoption can be long and cumbersome. Murfreesboro, Tennessee, attorney Amy Broom Pollina focuses her practice primarily on the areas of family law, juvenile law, and estate planning and probate. Attorney Pollina provides responsive, effective legal representation.